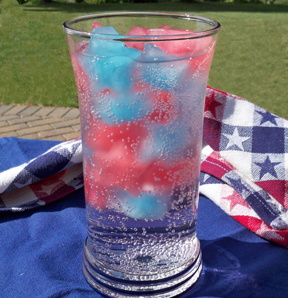 Serve this easy and fun beverage for your 4th of July celebration. The kids will think this is a special treat made just for them. 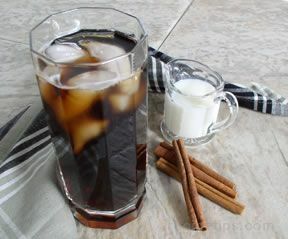 The flavor of the drink will change as the flavored ice cubes begin to melt. 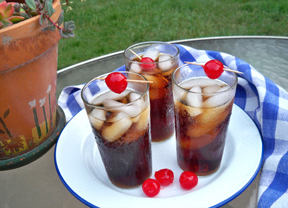 Prepare the ice cubes at least a day ahead of time to be sure they have time to freeze. Pour the colored beverages into the star shaped ice cube trays and freeze. Note: If you will be serving a crowd you may want to start freezing stars for a few days ahead of time. Freeze a tray full; then remove the frozen cubes and place in a sealable bag and place back into the freezer. Keep the different colors separate. Refill the trays and freeze more. Repeat this until you have enough cubes made. When you are ready to serve the fizzlers, fill the glasses 3/4 full of the colored frozen stars. Fill the rest of the glass with Sprite. 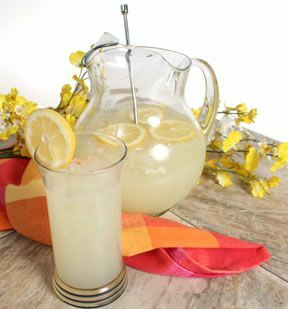 "Easy, Fun and Different for the 4th of July Holiday or anytime. Red + Green for Christmas. Pink + Blue for a baby shower ..."
"I made these this weekend as a trial run before the 4th. The kids loved them and thought they were so much fun. I am definitely going to make them for the kids at our 4th of July celebration."